Book the cheapest car rental Gatwick Airport using our car rental comparison website. We will find you the best and cheapest car rental Gatwick airport deals available. Which Car Rental Suppliers will help me with my Cheapest Car Rental Gatwick Airport ? 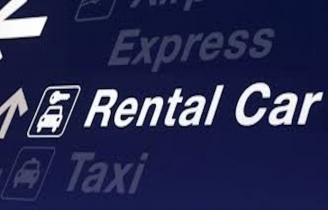 You may also see car rental offers from other subsidiary car rental companies including Dollar Thrifty, Easirent, Firefly, Goldcar and InterRent. Where are the Car Rental Desks at Gatwick Airport ? Which Cars Can I Choose When I Book My Gatwick Airport Car Rental ? Choose from a selection of automatic or manual gears, with/without air conditioning and either diesel or petrol engines. When you are planning to go on a long-awaited holiday or an important business trip, then hiring a car at Best Car Hire can make life easy for you. You control where you want to go and when you want to get there. Our website compares the car hire market, so you can easily find a car that will best suit your budget and your needs thus saving you a lot of time and effort. Finding a car hire depot near you is easier than you think: Because we compare car hire deals from different car hire companies, you also have more choices of pick up and drop off locations.